Downers Grove Fire Station 2, 5420 Main St. 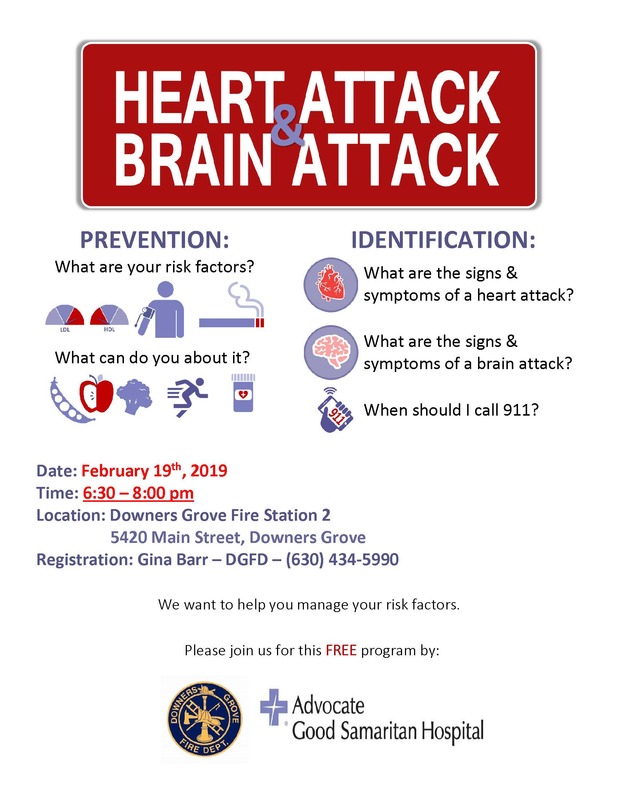 This free program is presented by the Downers Grove Fire Department in cooperation with Advocate Good Samaritan Hospital. You're too young to worry about a heart attack or stroke, right? Not only is the risk increasing in a younger population (think mid-30s), your habits now determine your risk of having a heart attack or a stroke later. Do you know what your risk factors are? Do you know how to recognize the symptoms? Do you know what to do if you suspect that you or a loved one is experiencing a heart attack or stroke? Join us to find out!